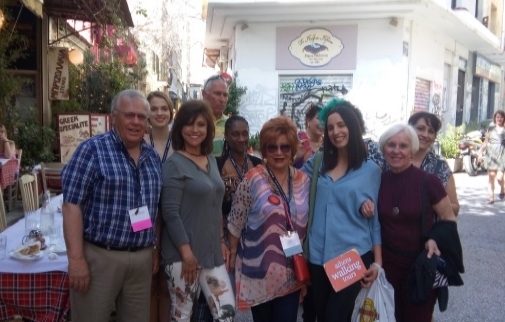 American tour operators and members of the American Society of Travel Agents who are currently in Athens for the ASTA Destination EXPO 2018 conference were very excited after exploring the city's historical center, the Acropolis, Plaka and tasting Greek gastronomy, during two special guided tours organized by Athens Walking Tours. 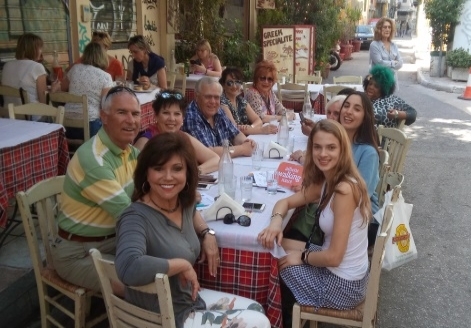 The first group of 28 people toured the Acropolis, Plaka and Monastiraki under the professional guidance of Aristotle Koskinas and the second group of 10 people visited the historic center with Athens Walking Tours' Georgia Kalimeri, relishing Greek flavors, through the Athens Food Tour program. As Mr. Koskinas and Mrs. Kalimeri told Tornos News, the American travel agents spoke with the best words about their experience in Athens. Several of them are vsiting Greece or Athens for the first time while the rest have come before either on a cruise or visiting Meteora as well as other destinations. The two tours lasted between 3.5 to 4.5 hours. 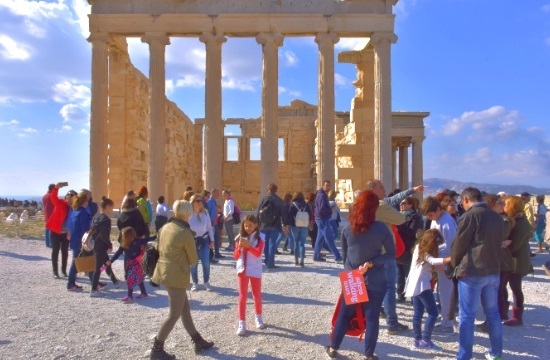 The members of the Acropolis Group started at the Hilton Hotel, did a short city tour by coach and then were guided around the Acropolis and the picturesque neighborhoods of Plaka. In fact, half of them asked to continue exploring Plaka and Monastiraki even after the tour was completed, applauding Aristotle, who reciprocated with the phrase "it was fantastic." In the Athens Food Tour, the American travel agents started from Klafthmonos square and continued into the Main Market, savoring along their way Greek flavors from shops that collaborate with the Athens Walking Tours and listening to Georgia's stories about the local cuisine and its traditions (photo). They were excited about the imagery of the Psyrri district as well as the bougatsa and the souvlaki delicacies. Athens Walking Tours were founded in 2004. It was an innovative tourist activity in Athens, which is currently recognized as a "must" for its guests. Athens Walking Tours offer daily all year-round tours and activities of high quality level with historical and gastronomic interest, with selected tour guides, always in small groups of participants, in Athens and Chania as well as other tourist destinations across Greece.